SKU: N/A. Category: Knitty Things. These DP needle holders are a must have! 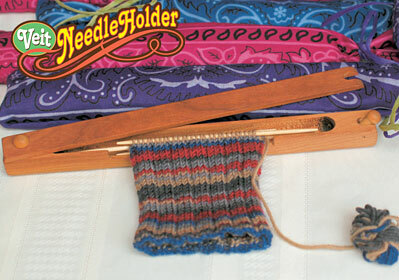 Secure your sock, hat or mitten projects and keep all your needles together too. Handcrafted in cherry wood by David Veit. Made in Connecticut. Three sizes available. Holds 5″ to 6.” DPs | 6″ to 7″ DPs | 7″ to 8″ DPs. 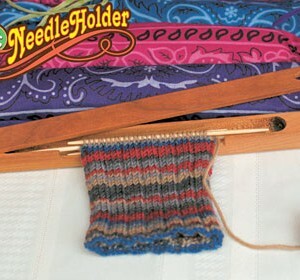 This also great for knitting mittens! Love the ones I have!